Compare the differences and disadvantages between the old model of selling, and the newer approach of collaborative selling. 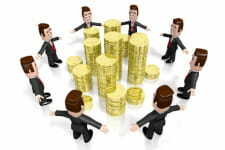 Make collaborative selling especially effective and productive. The world of business has altered and continues to change dramatically and rapidly on a regular basis. Markets have swelled and evolved in size from local to national to global markets. Technology no longer gives any single company a particular competitive advantage, while their clients have become much more savvy. These, and other changes, have developed an environment in which salespeople must adopt new attitudes, learn new skills, and gain a new understanding of how to approach their markets while working with clients in the process. No doubt, you have seen this quantum shift and its consequences occur within your own industry: Your competitors have increased in number and become more aggressive. Your products or services are more difficult to sell than in the past. It has become a challenge just to differentiate your company from your competitors, and price issues are a constant problem. The upshot of these market influences is that the differentiated products of yesterday are the commodities of today. Instead of making differentiation easier, technology has made differentiation much harder. Differentiation is, however, the only way to be successful in today’s market. Differentiation must come from quality, price, or service; and few companies can survive competing on negotiating price alone. This is a huge challenge that every company faces. It is a challenge met by collaborative selling, a system in which salespeople can create differentiation and its accompanying competitive advantage every time they go after business. To collaborate effectively in a complex corporate environment and create value to sell your products and services requires a very specific type of negotiation skills training. The traditional approach to selling was largely developed after World War II. When the war ended, the demand for consumer goods shot up to an all-time high. Consumers were not very sophisticated, so selling techniques centred around this typical scenario, which still persists today. Traditional salespeople paid little attention in targeting their markets or planning their sales calls. They approached the market as a “negotiation numbers game“, by delivering a canned pitch to as many prospects as possible in the least amount of time. Good salespeople began breaking the ice with a little small-talk (and equated small talk with relationship-building). Then they delivered razzle-dazzle pitches to wide-eyed, hopefully-receptive prospects. There was little if any information gathering. Instead, the sales negotiation process concentrated on a persuasive pitch, manipulative closing techniques, and the salesperson’s negotiation skills in managing client objections. Superstar salespeople were those who had mastered the art of arm-twisting. The traditional sales pitch was, by necessity, generic. All of the product’s features and benefits had to be covered because salespeople had no way of knowing which features and benefits were applicable. It was a true shotgun approach in which salespeople attempted to sell their products to every prospect, regardless of need. There was no follow-up after the sale. Traditional salespeople moved from one transaction to the next without looking back. Sales were viewed as one-time deals. Traditional selling is not dead. It is still used in the auto-mobile industry. Despite the changes in the marketplace and their desperate need for differentiation, car dealerships are still insulting their clients with high-pressured, traditional tactics. They are short-term thinkers who must assume there is an boundless supply of new clients. Is this the basis for long-term relationships? Is this the formula for success? It most certainly is not. General Motors had its worst year in its history in 1992. In November of 1993, an article in the Wall Street Journal reported that Chevrolet is just now waking up and making client satisfaction the focus of a full-scale make-over effort. Why so late? Companies such as Nordstrom, L.L. Bean, Federal Express, and others discovered and implemented this concept years ago. Traditional selling has another Achilles’ heel. It creates tension and could be construed as confrontational. Traditional salespeople often perceive their prospects as people with whom they must go to battle to get their business. This power-struggle mindset is supported both on the best sales negotiation training courses that teach manipulative sales technique, and by books with combative titles such as Hard Ball Selling, Guerrilla Marketing, and The Sale Begins When The Client Says No. It does not take a genius to understand that the focus in traditional selling is misplaced and short sighted. The commando approach to selling is out of date. It does not engender referrals, references, repeat business, word-of-mouth advertising, client satisfaction, or good will. Collaborative selling begins with a different mindset: a commitment to the long-term. Today’s clients buy differently, so today’s salespeople must sell differently. Clients understand that there is no urgency to buy because good deals, good salespeople, and good companies come along every day. Price is less of an issue because buyers are not just interested in great deals; they want great relationships. Today’s clients are looking for measurable quality in the products and services they buy. The transition to collaborative selling and the emphasis on long-term relationships is obvious from the words and phrases that are used to describe modern buyer-seller relationships: strategic alliances, sustaining resources, single sources, integrity, values, and ethics. Today’s clients are seeking long-term relationships with suppliers who will be reliable resources over the long term. 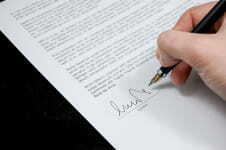 In fact, many companies are awarding lifetime contracts to their supplier-partners. Collaborating companies are networking their computer systems to expedite order-entry, just-in-time inventory control, and electronic payment. Strategic alliance, partnering, collaboration – call it whatever you want – is taking place throughout the world on a macro level (industry to industry) and on a micro (salesperson to client) level. The first step is a marketing necessity: understand precisely what the product/service is and identify the specific markets that can best utilise it. This is achieved on a company level in their marketing plan and should be performed by individual salespeople as well. It takes some time, but careful planning focuses effort and allows for a greater return on time and money invested. Collaborative salespeople know they must concentrate on prospects who have a high probability of buying. The first step after targeting a market is to contact the client in a cost-effective and professional way. Naturally, this would require some combination of letter, phone, or personal contact. The right combination of contacting strategies guarantees that collaborative salespeople create highly perceived value before they call on their prospects. When contact is achieved, collaborative salespeople set the stage for a cooperative, working relationship. They convey their desire to explore needs and opportunities. They create credibility and trust. They express their sincere desire to give service, and they make their negotiation competitive advantages known without leaping into a presentation. It is at this juncture after an in-depth exploration of a prospect’s situation that collaborative salespeople discuss their products or services. Naturally, they are spoken about in the context of prospects’ needs or opportunities. Collaborative salespeople never dictate solutions to their prospects. Instead, they form “partnerships” in which prospects play an engaging role in the search for the best solution. The collaborate phase of the sale is performed in the spirit of “let’s work together on the solution and together build a commitment to its successful implementation.” This team-approach to problem-solving warrants that prospects will be committed to solutions. By making clients equal partners in problem-solving, collaborative selling diminishes or eliminates the risk that is inherent in the client’s decision-making process. Keep in mind that, in every phase of the collaborative selling process, the salesperson and prospect have communicated well. Collaborative salespeople move on to the next phase of the sales process only after they have bee given assurances that their clients mutually agree on everything that has been discussed. This agree-as-you-go process removes the need to “close” the sale or handle objections. Most objections have arisen long before this point. If resistance does occur, the salesperson simply obtains more information or clarifies a detail. With collaborative selling, the sale is a matter of when and not if it occurs. Confirming the sale is the logical conclusion to an on-going communication and negotiation problem-solving process. There is no need to “close” them. People commit when all their buying criteria are met! Assure the client. This phase of the collaborative sales process begins immediately after the sale has been verified. Collaborative salespeople maintain contact after the sale. They communicate regularly about delivery dates, installation, training, and other pertinent matters. They make sure their clients are satisfied with their purchases. They assist clients to track their results and analyse the effectiveness of the techniques and solution. 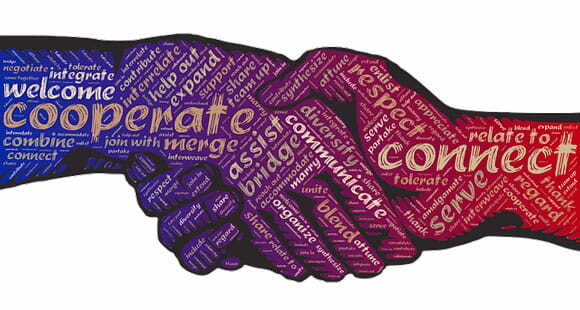 Collaborative selling is the key to differentiation on the micro level. It represents an obsession with quality and client satisfaction. It reflects a high degree of professionalism and is a primary focus on relationship building rather than on transactions. It is obvious that collaborative selling is a mutual win-win negotiation situation, one that provides increased security to both parties. This increased security is precisely what clients want and need, given the market changes that are occurring so rapidly. Collaborative selling is a philosophy and practice that is being employed today by enlightened salespeople; and it is clearly the sales process of the future. Collaborative selling aids professional salespeople to build large, loyal client bases that create future sales, provide referrals, and act as lifetime annuities. Dr. Tony Alessandra has authored 13 books, recorded over 50 audio and video programs. I liked this practical approach to sales. If the collaborative selling approach is employed appropriatley, I think the results will be guaranteed.